Outdoor Living Ltd - Hot Tubs/Spas based in Hull, North Humberside. For over a decade, Outdoor Living Limited has built a reputation for bringing the high quality indulgences of a spa to homes across Yorkshire. Paul Margerison approached Kevin Newby with an idea for a new company and in 2004 Outdoor Living was created. In 2012 Outdoor Living expanded to a new showroom in Leeds opening up the experience to West Yorkshire. The Leeds Showroom was born in 2012 and became the Flagship Showroom for Jacuzzi® UK in 2013, with the UK head office located in the offices above the showroom. 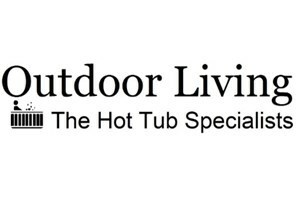 Outdoor Living is proud to work hand in hand with Jacuzzi® UK to provide hot tubs throughout West Yorkshire. In 2016 Outdoor Living joined the Sundance® Spas dealership and were pleased to add the Sundance® Spa range along side the current brands of hot tubs for customers. On display in Leeds you will see a large range of hot tubs from the Jacuzzi® Brand, Sundance Spas as well as a range of wellness products and gazebos. If you've made the decision to invest in a hot tub for your home then you've taken the first step towards relaxation and the best way to unwind at the end of a long day. With over 5 different brands to choose from, you'll be spoilt for choice when you choose to purchase from Outdoor Living. Outdoor Living provides high-quality swim spas, hot tubs, saunas, and gazebos. With a huge variety of designs and manufacturers to choose from, customers are able to wander around the showroom and select the best products to suit their individual needs. Stocking a number of stylish outdoor structures in which to house the equipment, a garden can be transformed into a relaxing retreat in a matter of hours. Outdoor Living sells and installs the highest quality of apparatus, ensuring that each item comes with a manufacturer’s warranty. The team personally install hot tubs in approximately four hours, and as there is no plumbing involved, an outdoor tap and hosepipe is all that are required. The Outdoor Living team prides itself on giving a friendly and personal service to every customer ensuring that Outdoor Living continues to bubble over nicely. We don't just sell hot tubs! Outdoor Living is not just a hot tub dealer. The reason we have been successful in the hot tub industry is we support our customers throughout the entire life of their hot tub. Many of our customers have recommended others to us. We have been here so long we have sold hot tubs to generations! We look after our customers so they keep returning. Each showroom is stocked with a large range exclusive Jacuzzi® Branded hot tub chemicals, as well filters and a selection of accessories. For those that want more Jacuzzi Direct is there with over 9,000 products online for you to choose from! We also stock a large range of Jacuzzi® Branded hot tub parts and Arctic Spa parts so that warranty and repair work can be supported as quickly as possible. For many years now hot tubs have been a passion for Outdoor Living. As the business continues to grow and develop we will endeavour to pass this experience to our customers. We know just how beneficial a hot tub can be to your lifestyle, relaxation, and well-being. So if you're not already part of the Outdoor Living family, why not visit a showroom today to find the right product for you.